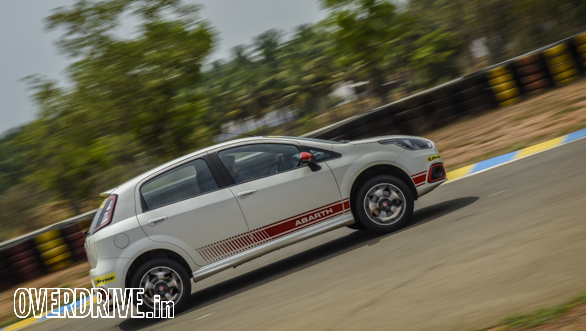 The Punto Abarth produces 145PS and 212Nm of torque making it the most powerful car available in India under `10 lakh by far. This also means that it sits on top of the power pyramid in this test. While most Indian carmakers prefer to add styling parts from their performance division, Fiat did more. They took a stock Punto, reduced the car's ride height, gave it better brakes all around and added the well-known 1.4-litre Abarth tuned T-Jet motor into the bay. While it isn't exactly the same spec as the Punto Abarth that was available internationally, it still is a quick hatchback. On the Kari Speedway, it's the only petrol car to cross the 150kmph mark on the main straight. It turns in well too. The direction change is quick but then the car tends to understeer. Since the car displayed more body roll than expected, Aditya found that the Punto responded better to an aggressive turn-in. Around corners, you need to be very patient till you're pointing towards the exit as only then you can step harder on the throttle leading to a quick lap time. One also has to short shift to avoid wheel spin. The suspension may be lower than a stock Punto, but it still is soft for a car that's this fast. The stock tyres as well as JK Tyre's Vectra end up being eaten faster than on the other cars here. Fiat doesn't have any information for us on the uprated brakes, but we think it's the same all-round disc package from the Linea T-Jet. Braking is respectable but not in the same league as the Honda Jazz. The seating position is poor and the seats offer very little support. The only highlight then is the turbo motor. It is great fun on the racetrack as well as on the highway. The car is quicker than all the other petrol hatchbacks by a huge margin. 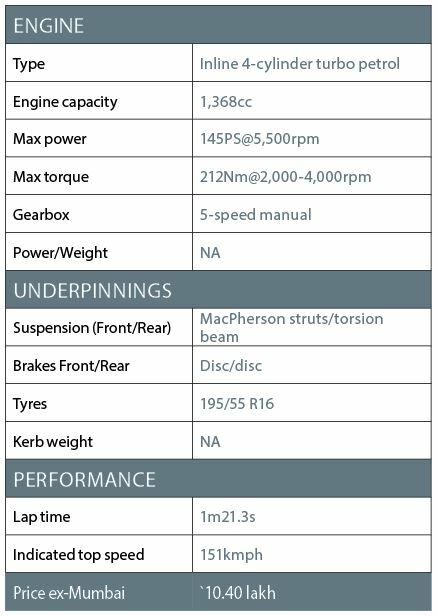 While the Fiat officials don't have a kerb weight to give us, we assume the car should weigh about 1,200kg considering a standard base Punto petrol weighs 1,144kg. However, the car begs for a few more add-ons like LSD, stiffer and a more lowered suspension set-up as well as stickier rubber. This desi Abarth then definitely has the potential to become a true international spec hot hatch. Bertrand D'souza: What a rocket! The Punto may be one of the least sold cars on the planet, but with the Abarth configuration it's an absolute gem. The pace it sets is blistering. Ideally, if you're looking for a hot hatch, the Punto Abarth is the one you should invest in, along with a really good set of tyres. Spellbinding! 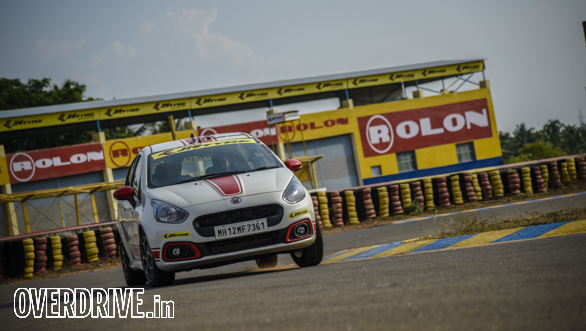 Rishaad Mody: The expectations were high with the Punto and it delivered, mostly. The powerful engine is the absolute star here, but the suspension is just not up to handling all that grunt. It's lower than a standard Punto but feels too soft for this application. The result is considerable torque steer and immense waste of power through wheelspin on corner exits. There's huge potential, but the Punto badly needs better suspension and a bucket seat - the driving position is awful.